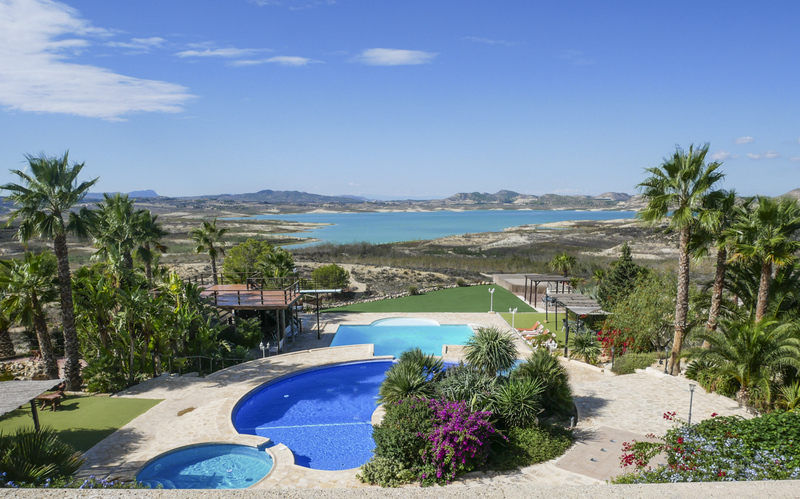 A one-of-a-kind villa in a breath-taking location on the Costa Blanca, Villa Jacaranda is a little piece of luxury on the banks of a most beautiful La Pedrera Lake. 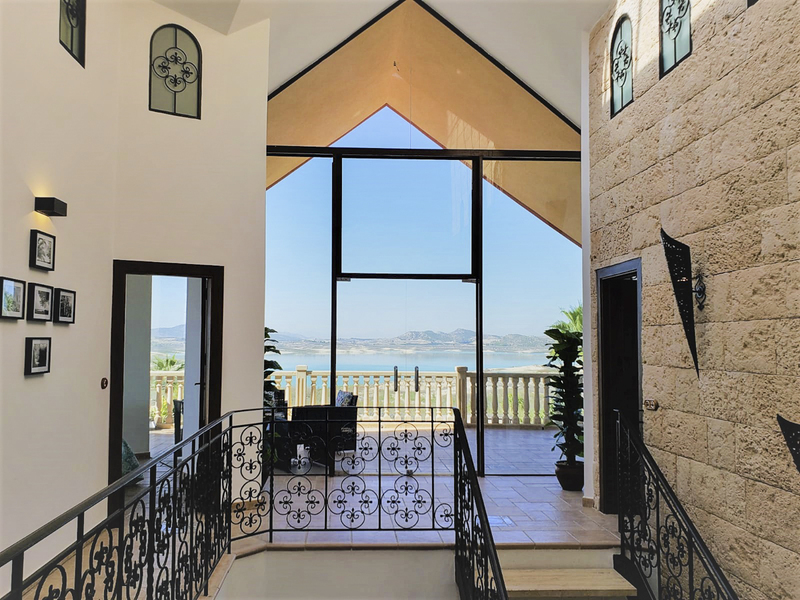 The entire living space is designed to be open-plan with the fresh lake-side landscape, fusing the interiors and exteriors wonderfully! 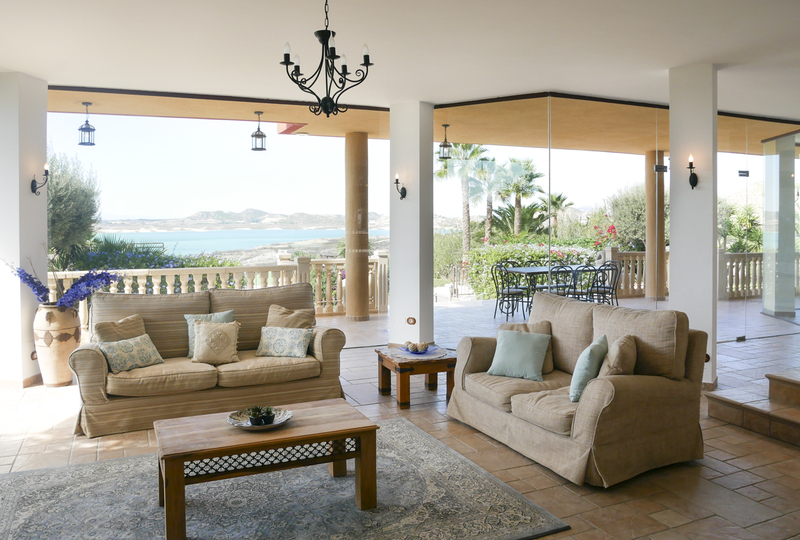 Sofas line the veranda creating a cosy atmosphere and wrought iron staircases meander their way throughout the property. 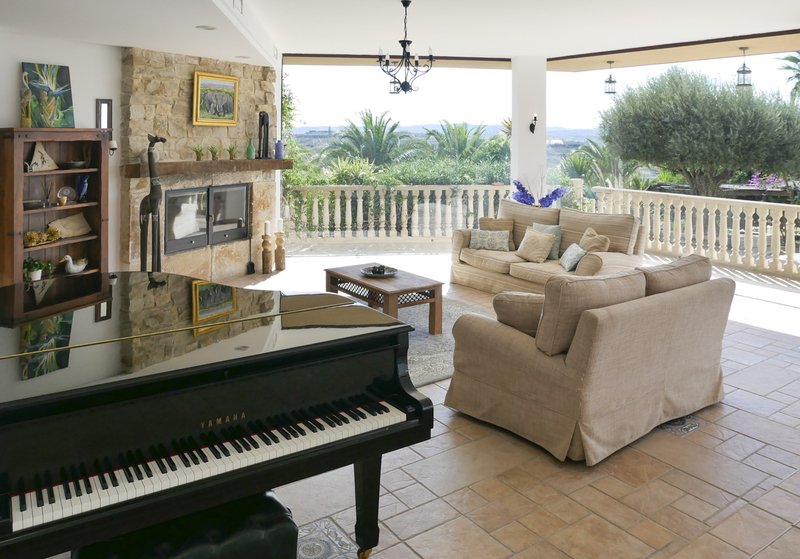 There’s even a Grand Piano in the main living area, alongside a 65” TV with Sky. 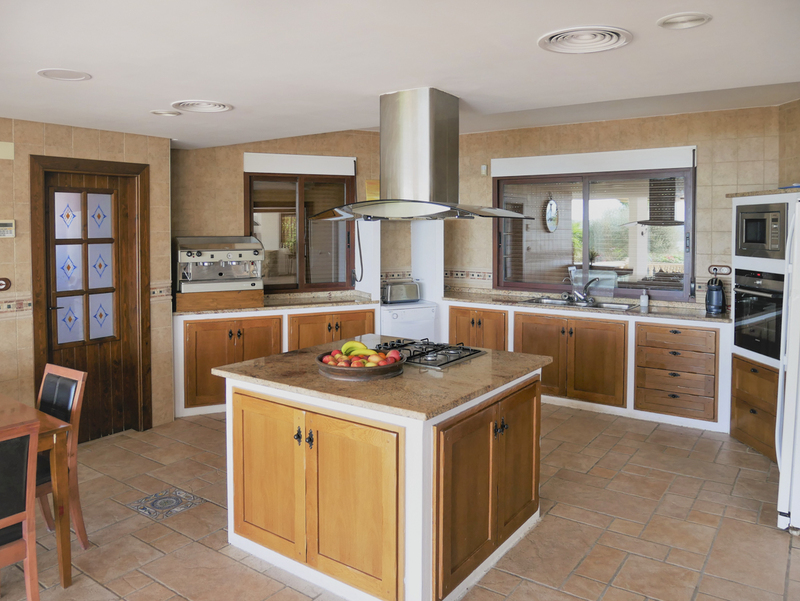 There’s a huge kitchen where you can whip up a snack or two, and a fabulous dining area inside if ever you wish to head in from the fresh air! 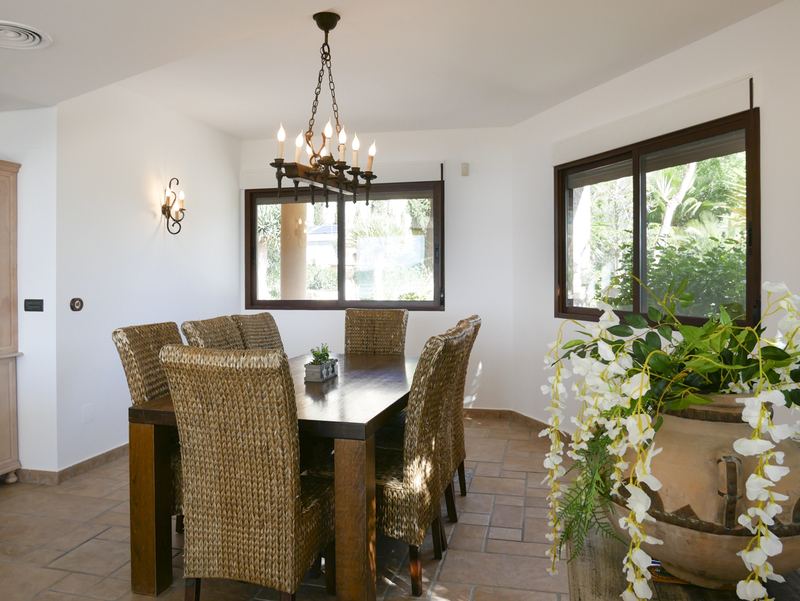 There are five fantastic bedrooms, including four doubles and one twin room. 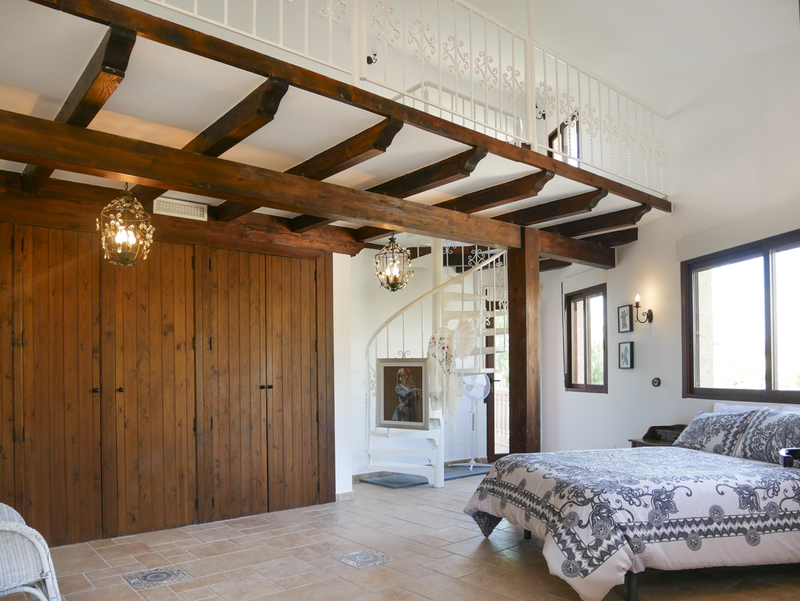 The master room is as open-plan as the living areas, with your bed virtually outside! 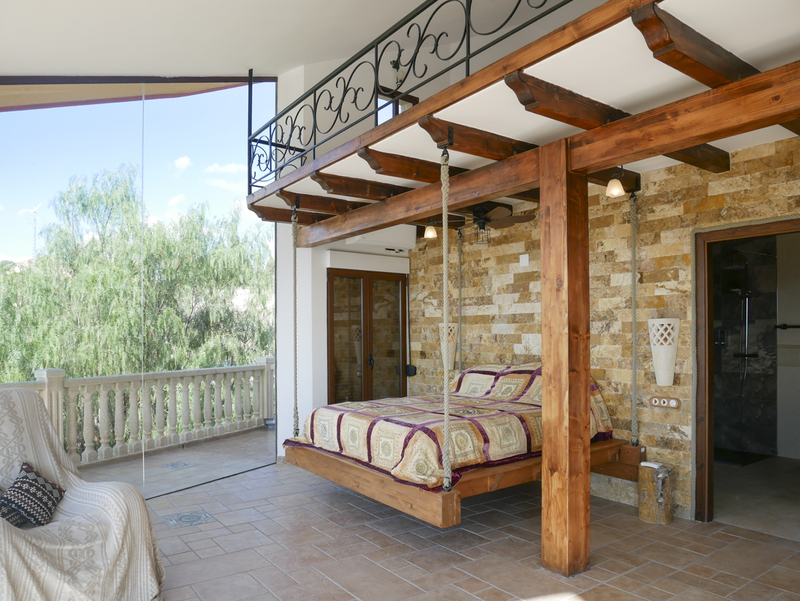 And is equipped with a king-size suspended bed and a TV, with exclusive access to the terrace with fabulous lake views. 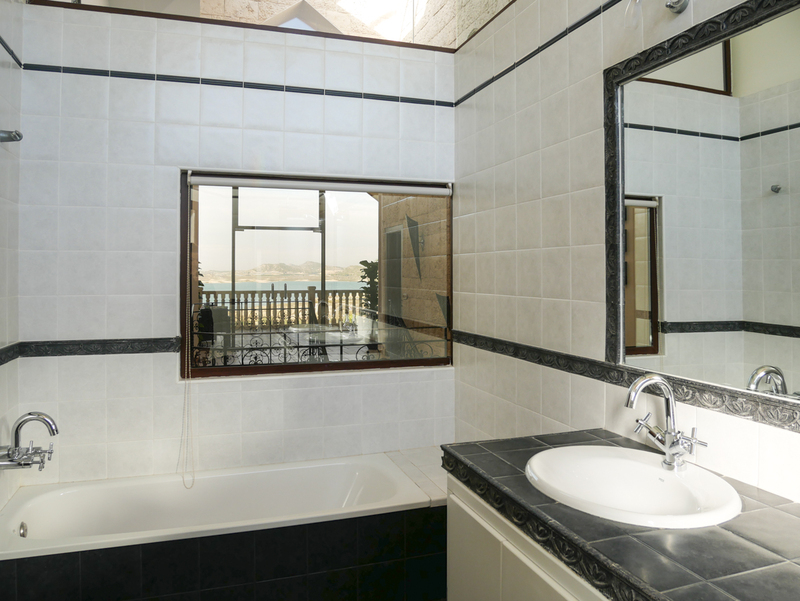 The accompanying ensuite bathroom includes a jacuzzi bathtub and double-head shower for a luxurious pampering session. 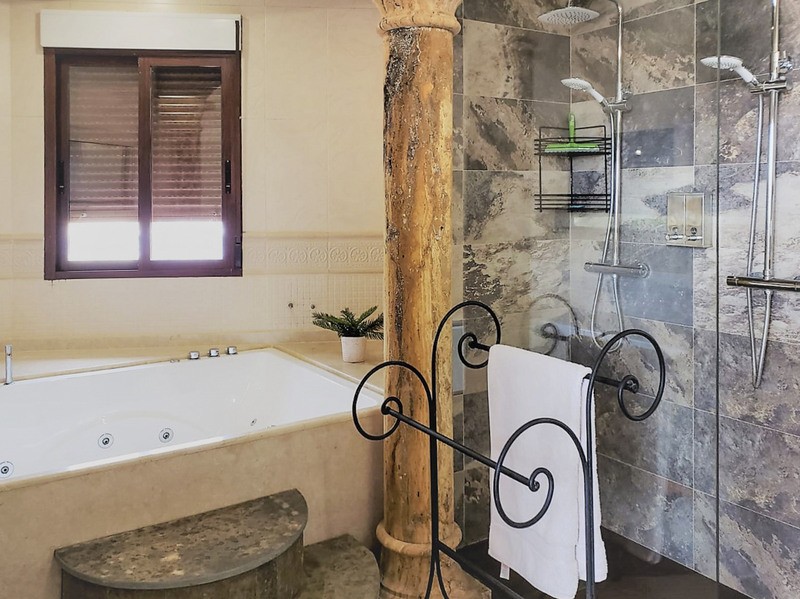 A further two rooms enjoy double beds and access to a private terrace, both with ensuite facilities including a bathtub and shower with a fabulous glass roof to gaze at the stars by night. 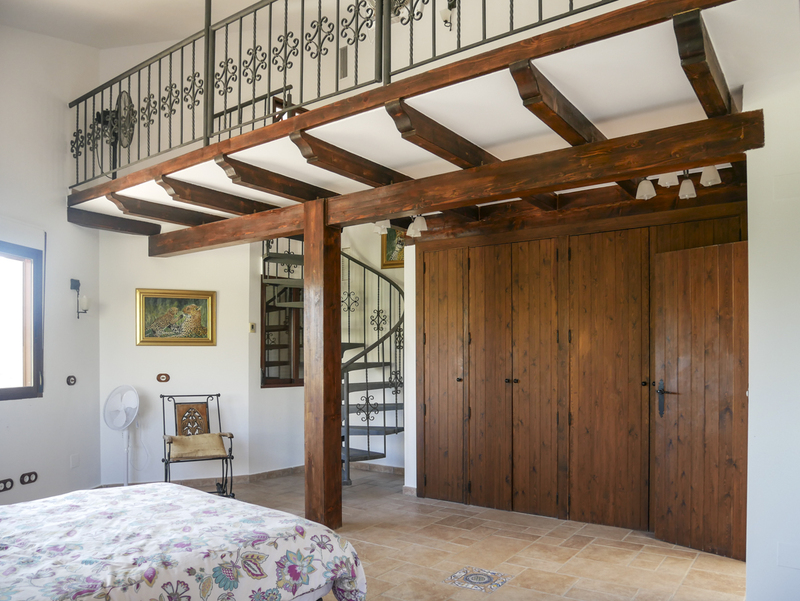 Each room is complete with a mezzanine level which allows either a little private space or extra sleeping spaces! 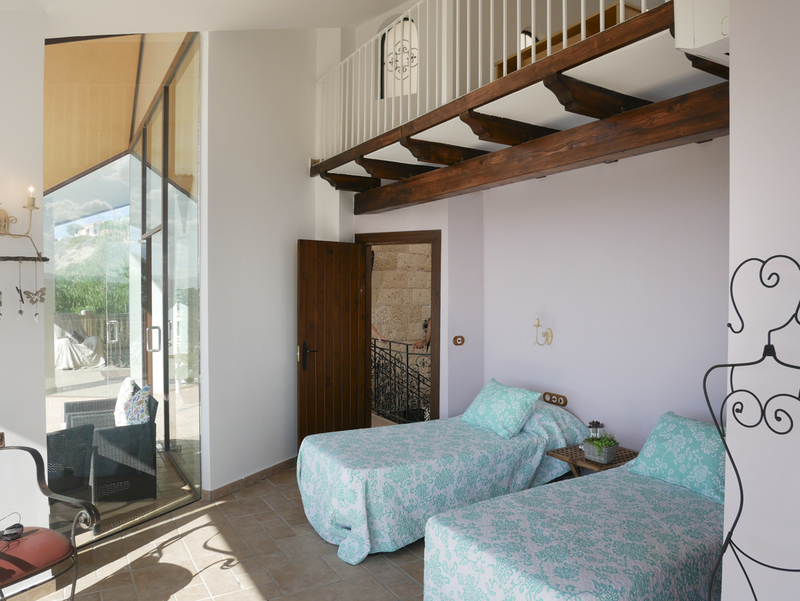 The final double room and the twin room share a delightful bathroom with a bathtub and shower. 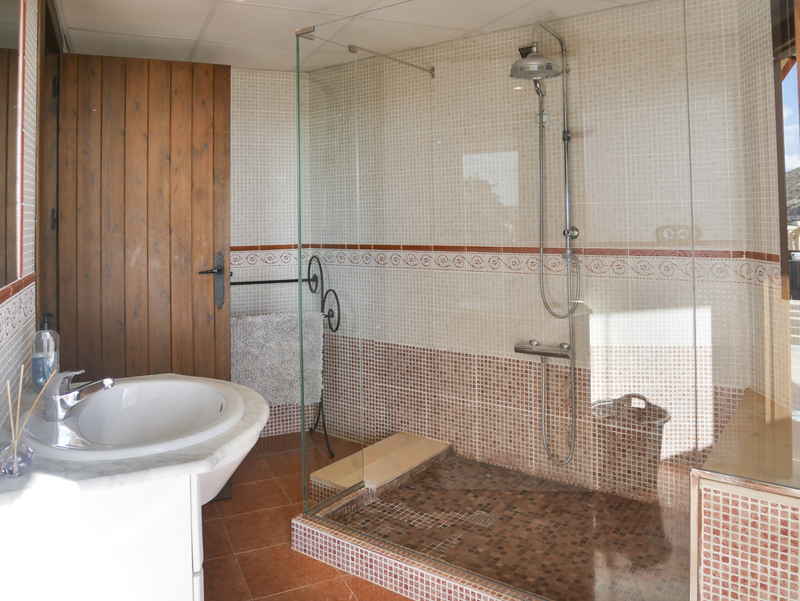 There is a further bathroom on the ground floor with a shower. 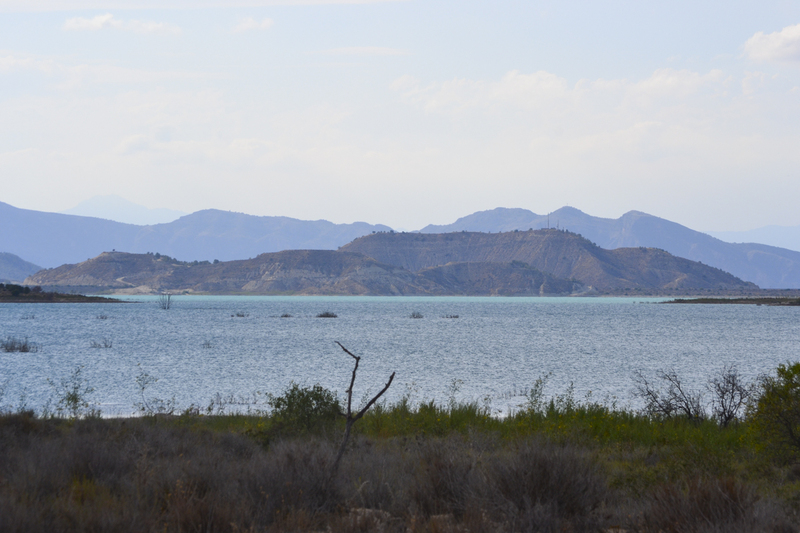 From the balcony, you can enjoy sublime views stretching across the lake to the beautifully undulating terrain beyond! 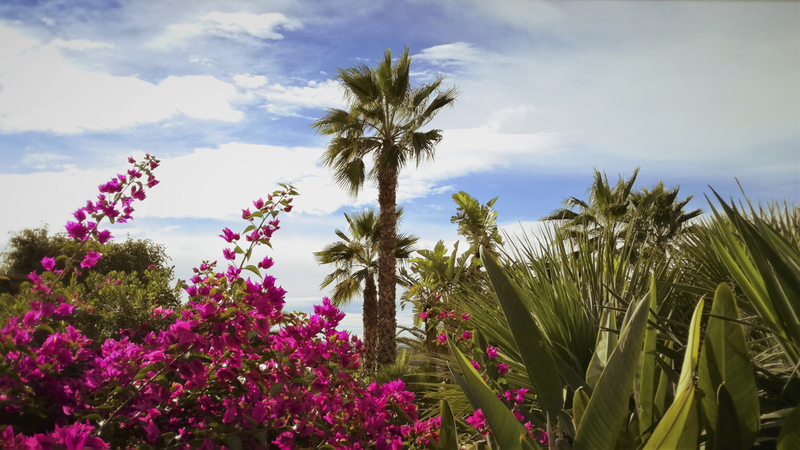 In the majestic garden, you have not one but three swimming pools for your exclusive enjoyment! 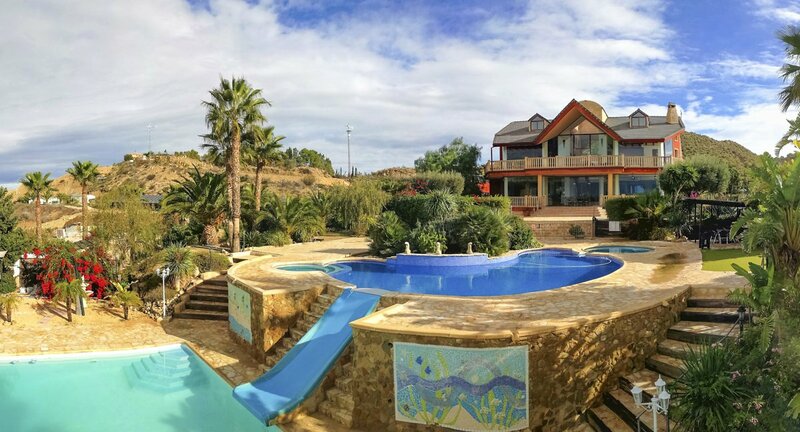 A child-safe pool, with a depth from 40cm to 1m, is perfect for the youngest of kids, while two more incredible pools provide fun for the whole group – and are even connected by a 4-meter slide so you really can get everyone together in this huge scenic space! 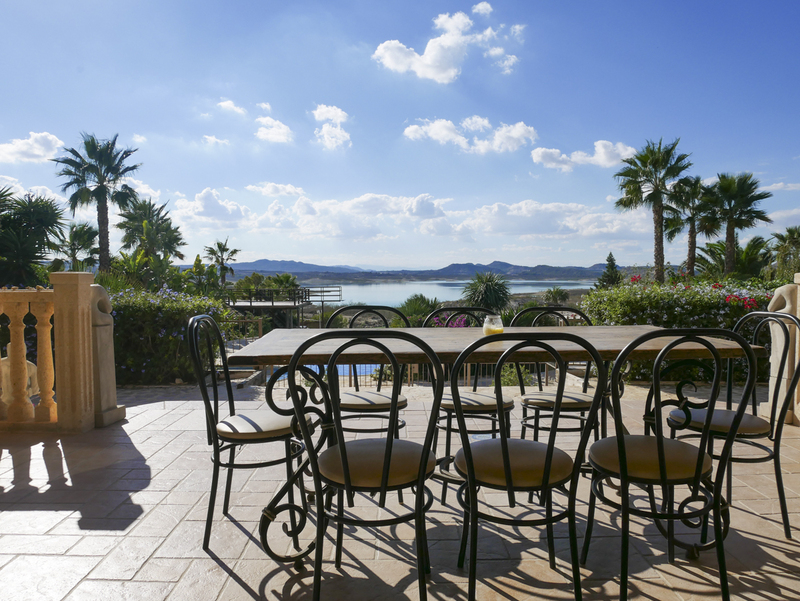 An outdoor dining area ensures you can enjoy alfresco meals overlooking the incredible lake and distant mountains. 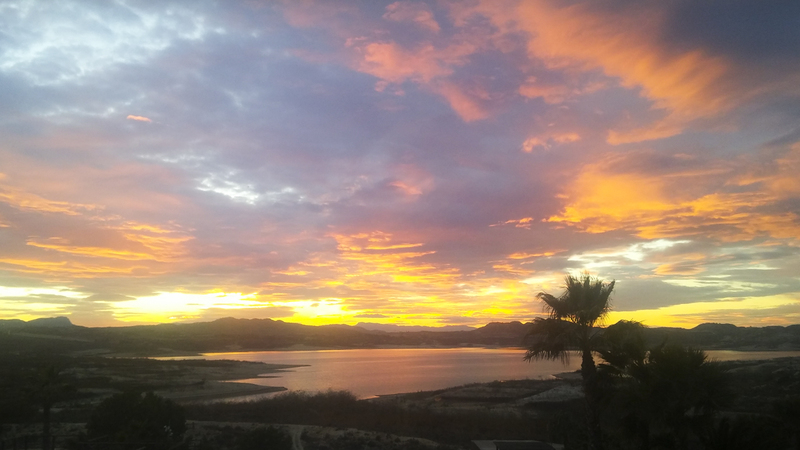 In the warm evenings, why not retire to the Jacuzzi, large enough for up to 12 people to enjoy at once, and watch the breath-taking sunsets across the lake! 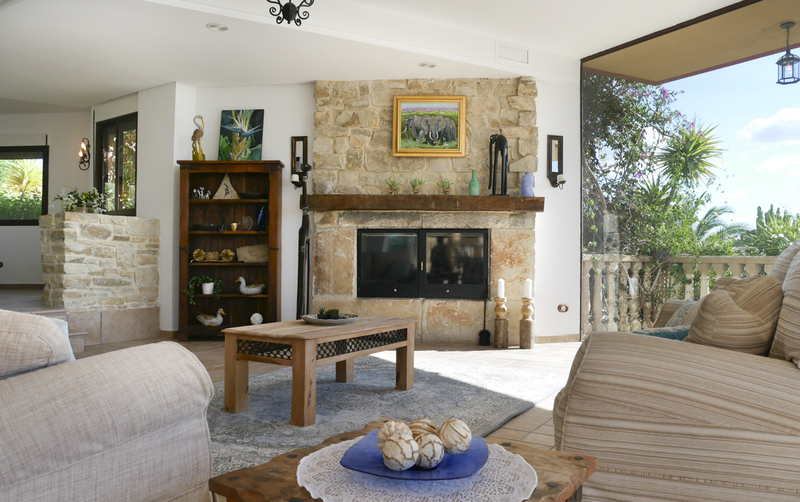 The beautiful location ensures you can enjoy endless walks from your front-door, winding your way through typical Mediterranean plants and flowers and fascinating wildlife! 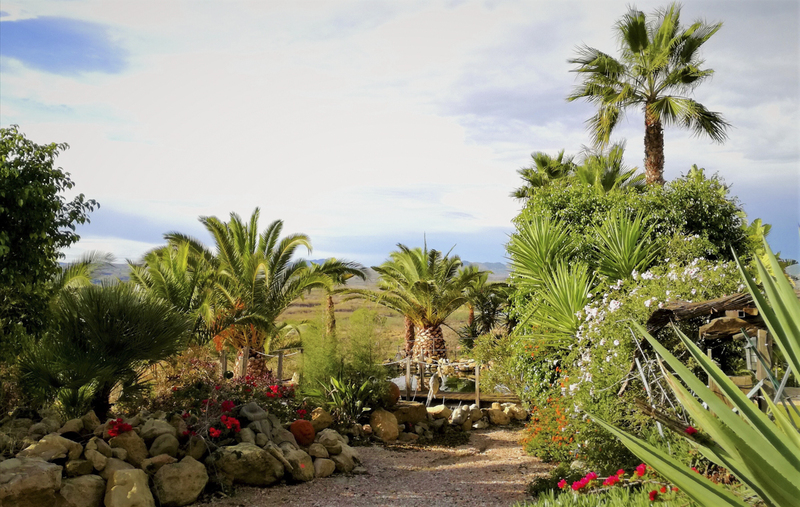 With a 25% discount on tons of outdoor adventures in the area, plus loads more on offer, you can enjoy all kinds of incredible activities throughout your stay, from Quad Biking, Archery and Kayaking to Yoga and Flamenco dancing! 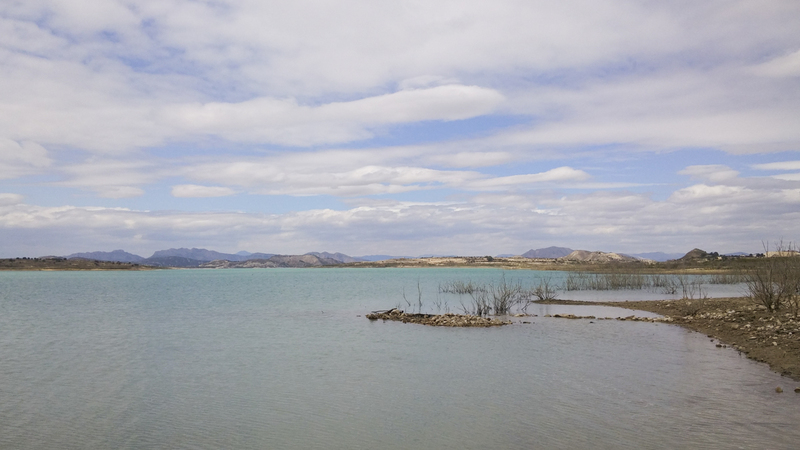 Located on the magnificent La Pedrera Lake, you’ll find all kinds of hikes, bike routes and other outdoor pursuits at your fingertips! 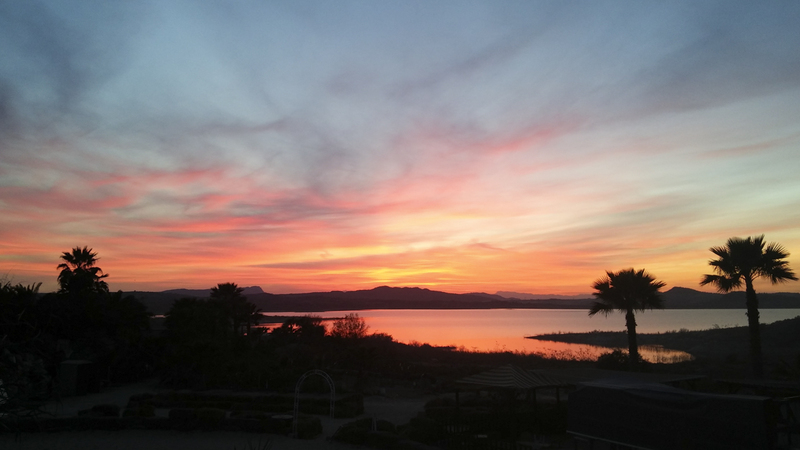 With a 25% discount on all kinds of activities, you can enjoy a new adventure every day! And if you’d rather relax a little here, and there, the isolated location ensures total tranquillity among the natural landscape, so you can have a snooze in the garden, kick back in front of the TV or simply sunbathe to your heart’s content in the magnificent garden, and be sure to avoid any of the hustle, bustle, and busyness of the towns and cities! 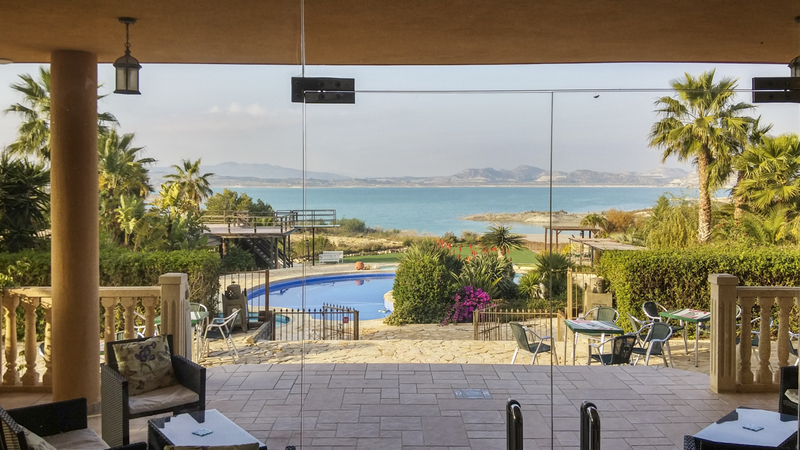 The glamorous and utility of the cities are just a stone’s throw away – with the huge towns and cities of Orihuela, Alicante, Murcia, and San Javier all under an hour away! 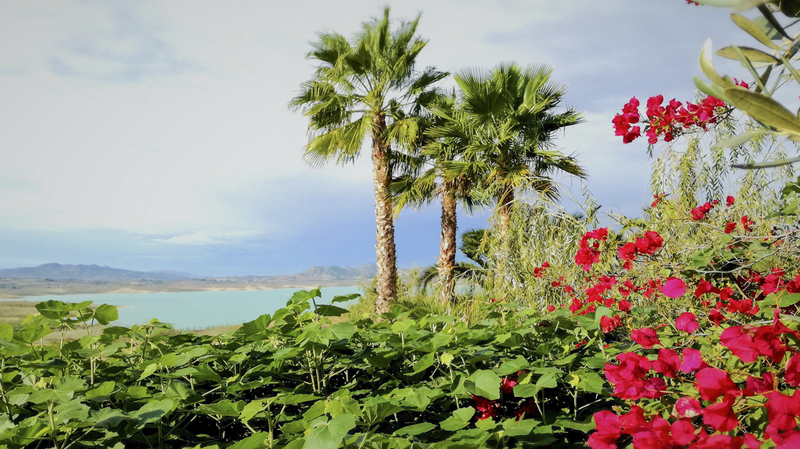 The famously beautiful blue flag beaches of Torrevieja, Guardamar, Campomoar, La Zenia and San Pedro are also within a short drive, so for more water-based fun, you don’t have far to go! 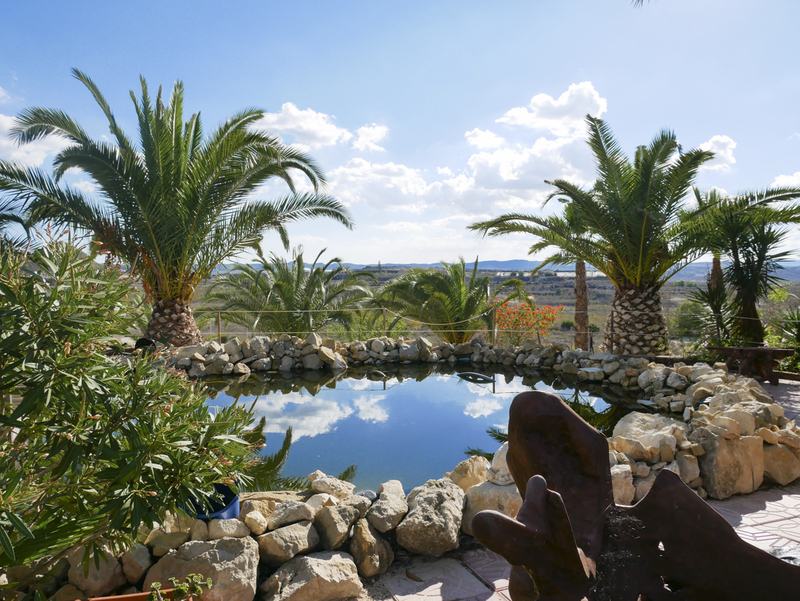 Villa Jacaranda is also just a 40-minute drive from three major airports: Alicante, Corvera, and Murcia.